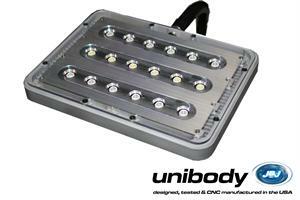 The JBJ Unibody LED offers the features, dependability, class, and quality you have come to expect from JBJ Lighting. Controller Ready & Dimmable out of the package from 6500K-20000K. 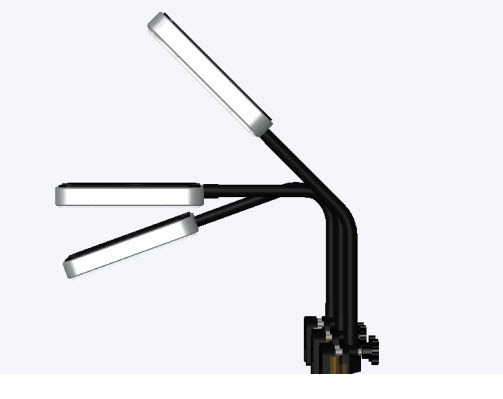 The design of the Unibody was focused on the main goal of creating an extremely thin, lightweight, and elegant LED lighting fixture that provides more functionality than any product in its class. With user-friendly dimmers, strong Triple Spectrum LEDs, heavy-duty unibody construction, and an all new, innovative airflow management system, the Unibody runs as cool as it looks. 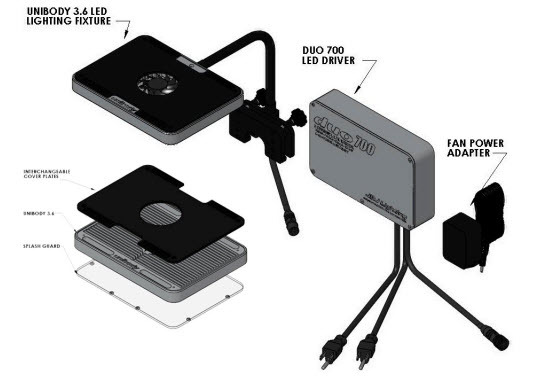 Transformed from a solid block of aluminum, the Unibody LED takes advantage of the quality and accuracy that comes only with years of CNC manufacturing experience and craft. With a fit and finish unseen in this field, we’ve raised the bar, all without breaking the bank. 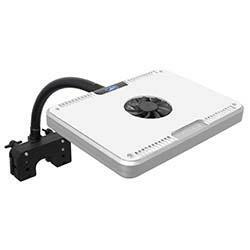 •All Aluminum Unibody Construction - Less than 1 inch thin! Launching the new all 120 Watt LED Orion aquarium lighting. Ships free!